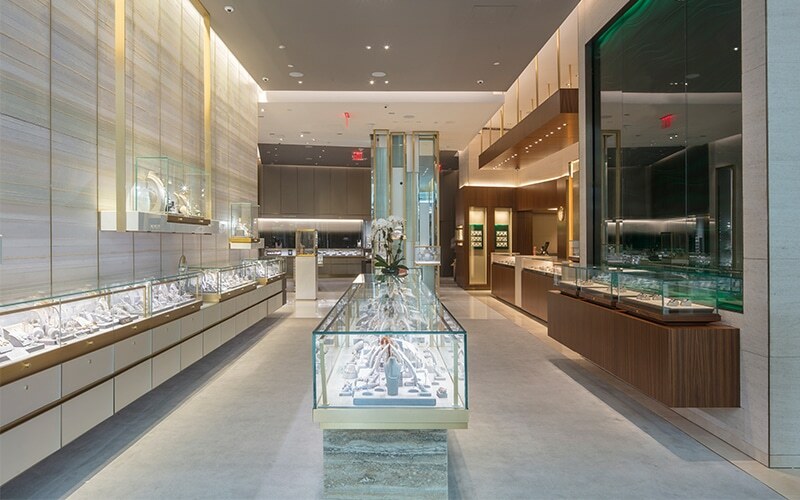 London Jewelers tasked Gilbert to build their new store in The World Trade Center in 2015, but this project came with an especially tight deadline. From the word “go,” we collaborated closely with the client to determine every specification needed to create the ideal environment. From defining the perfect height for showcases to identifying the right finish to match the signature London Jewelers style, every little detail was crucial to ensure a successful and timely installation. Respecting the short timeline, it was important that we navigate through The World Trade Center’s tight scheduling and rigorous security requirements so that we could coordinate a smooth and efficient installation. Despite a packed house filled with other trades, we installed the store accordingly and finished off strong as a team. 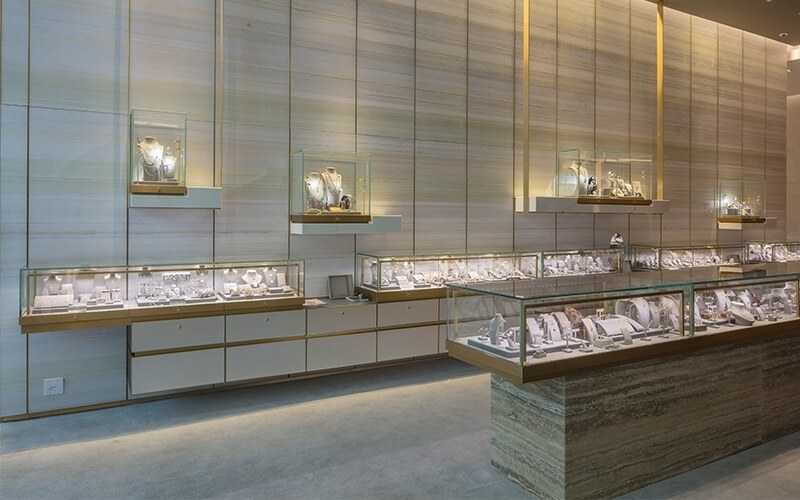 The store opened on time and continues to draw in crowds of visitors who love to indulge in fine jewelry.